Learn how you can build a full-featured, flexible, scalable, mobile app for iPhone and Android without programming skills. 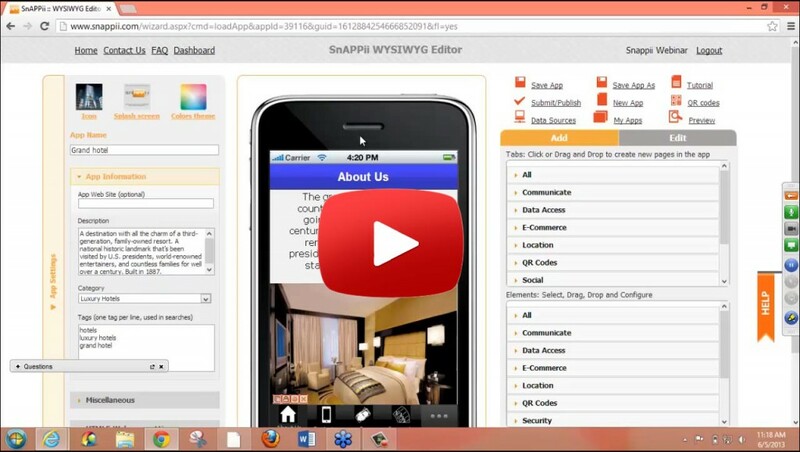 The Snappii WYSIWYG editor is easy to use and allows you to immediately test your app using our Snappii preview app right on your device. This entry was posted in Recorded webinars by Alex Bakman.